Welcome to Madison Books, the neighborhood bookstore for Madison Park in Seattle. We’re pleased to announce that our opening date is Saturday, 27 April! 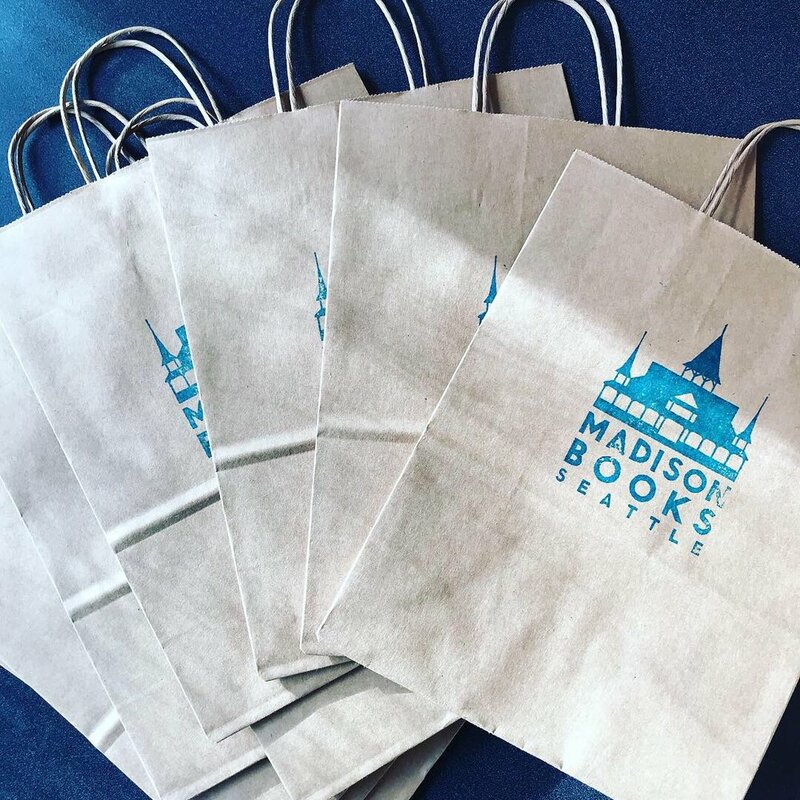 You may well find some booksellers bustling about the store a few days before that who will be happy to say hello and show you around, but the official opening coincides with Independent Bookstore Day, one of the biggest celebrations on the literary calendar. For more details, visit our Facebook event page or the Seattle Independent Bookstore Day website. We can’t wait to welcome you! From the booksellers at Phinney Books and Madison Books. You can find more recommendations in the Phinney Books weekly newsletter, and you can sign up for the Madison Books weekly newsletter, which launches in 2019, here. In 2019, we’ll start sending out a regular email newsletter, with book recommendations, store news and events, and any other book-related thing we think you might want to know about. If you’d like to join our mailing list (we won’t spam you otherwise), you can do so here. As you may have read in our newsletter or other places, the owners of Phinney Books on Phinney Ridge are opening a second bookstore in Seattle: Madison Books, in the heart of Madison Park. Our current plan: we're hosting a pop-up shop in the space (at 4118 E. Madison St.) from December 10-24, and then we’ll close again to complete our renovations, with a full opening scheduled for March. We'll certainly let you know more details as we have them, but we’re grateful already for the support and enthusiasm of the members of the Madison Park community for our new venture. We look forward to getting you know you and sharing our love of books. See our bookseller James’s top 10 reads from 2018, including Richard Powers’s The Overstory, Aminatta Forna’s Happiness, and John Schoffstall’s Half-Witch.